Attract Your Brand's Extraordinary Stories! One key to content marketing success? Developing and sharing extraordinary stories that will resonate with your brand's most important audiences. 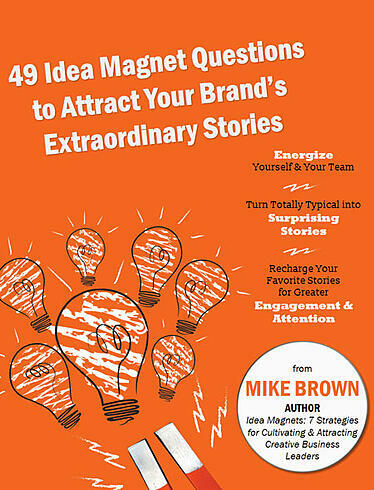 49 Idea Magnet Questions to Attract Your Brand's Extraordinary Stories will put ALL the powerful questions at your disposal to identify, develop, and share rich stories that are truly extraordinary!